POGUES frontman Shane MacGowan will return to Liverpool's Pier Head this summer to headline one of the UK's biggest celebrations of Irish culture. Feis Liverpool will once again appear in front of the city's world famous UNESCO site on Saturday, July 6 bringing some of the biggest names in Irish music to Liverpool. Returning headline this year's bill Shane MacGowan will appear with Moving Hearts, Phil Coulter, Mundy, Eddie Furey and Christy Dignam for a finale not to be missed. During the one-day event, other artists such as The Undertones, The Chieftains, Paul Brady, The Dublin Legends (The Dubliners) David Keenan, Flogging Molly and Hudson Taylor will also perform. 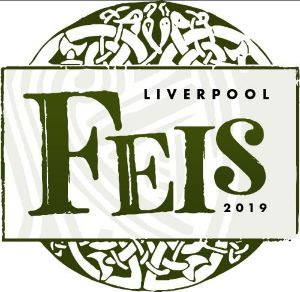 Founder of Feis Liverpool, Vince Power said: “We can’t wait to bring Feis Liverpool back for the second year and are overwhelmed and beyond excited that it’s become the biggest celebration of Irish music in the UK. "Last year attracted the best crowd spanning all ages and nationalities, we’re so proud it’s become such an international and inclusive event." Spanning across four stages, the event will host more than 30 acts and early bird tickets have already sold out. Free entry for under 12's but all under 16's must be accompanied by an adult.